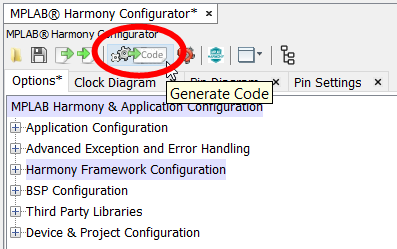 After using MPLAB® Harmony Configurator (MHC) to configure the Harmony Framework, click the 'Generate Code' icon to generate the source files. 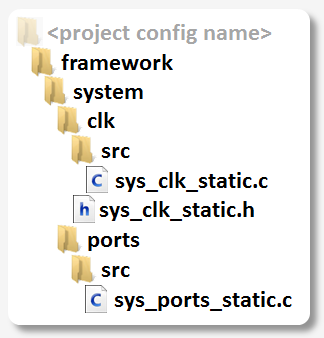 This file captures all the selections you make in the MHC GUI. 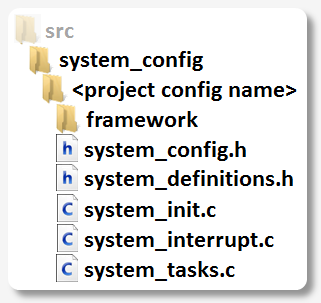 The MHC configuration file can be shared or copied to duplicate a complete set of configuration selections. MHC will then generate new source files based on your selections. You will be happy to know it doesn't blindly overwrite the existing source files (unless you tell it to). 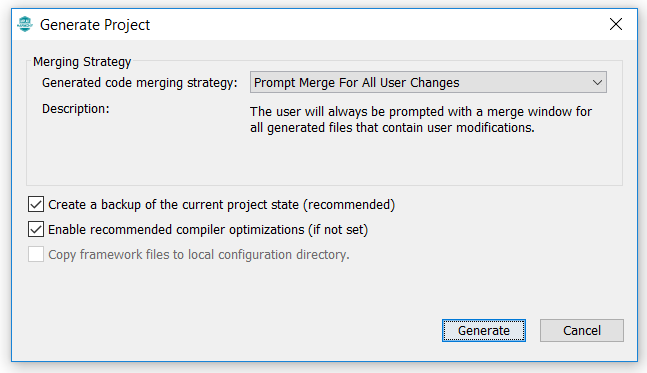 The 'Prompt Merge For All User Changes' selection allows you to identify and keep any changes you may have made to source files modified by MHC. 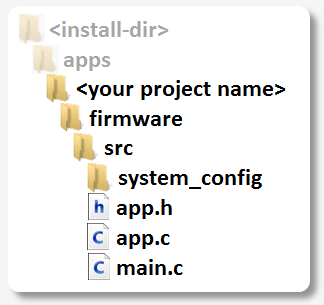 This is accomplished with the help of a merge window (diff utility) which is automatically opened for you. Click on the video title to view the video on YouTube.